A prop taxi used in the Canadian version of the TV show Cash Cab struck and killed a 61-year-old pedestrian on a street in Vancouver late last week. The driver, a production staff member, had been returning from a shoot. The man, a resident of Surrey, was reportedly crossing the street when he was hit. Police say he died in the hospital soon after the accident this past Friday. His name was not released. 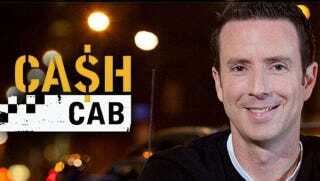 Canadian "Cash Cab" host Adam Growe was not involved in the accident.